Abraham Benjamin De villiers commonly known as AB De villiers is a former South African cricketer who played for the South African national team. He began his international career as a wicket-keeper batsman, but he has played mostly often solely as a batsman. He could bat at various positions in the batting order. 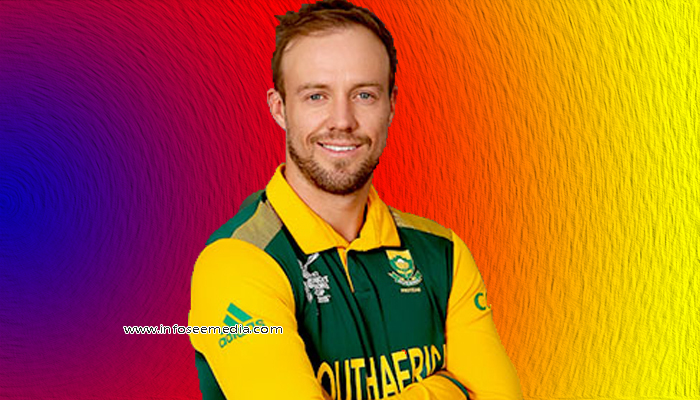 Ab devilliers was born on 17th February 1984 in Warmbad South Africa, he went to high school in Pretoria along with team mate Faf du Plessis. They both were best friends since childhood. His father was a doctor and he encouraged his son to play sports. De villiers is a right handed batsman who has completed 8000 runs in the test format game and has 22 centuries and 46 fifties. He holds the record for the second highest individual score by south african batsman (278)*. Devilliers has risen through the ranks and became one of the world’s finest batsman, most versatile batsman, across all formats. His supreme ability caught the eye of the selectors as he was fast-tracked into the national side squad as a raw 20 year old in 2004. AB devilliers holds a huge number of records including the fastest 150 in an odi, highest T20 partnership of 229 runs off 92 balls with Virat kohli in the IPL and fastest half century (16 balls) and century (31 balls) in ODI’s ( both against the west indies). He captained 103 Odi’s for South Africa and in that he won 59 matches. He then made his team into semis in ICC Cricket World Cup 2015. He got married to Danielle de villiers in 2013. The couple got blessed with a son in 2015 he named his son as Abraham de villiers which is his father’s name and then they got blessed with another son in 2017 and named as John richard devilliers. Ab devilliers Odi debut was on 2nd February 2005 vs England. Throught out his career , Ab devilliers has won numerous “Player of the series” and “Man of the match” awards. He is the First South African batsman to score two centuries in a Single World Cup.